Clearing cache on Kodi can resolve numerous technical problems. This is often the best solution if your Kodi is misbehaving or if you’re experiencing playback issues. And the best thing is that you can do this in a matter of seconds. So, let’s talk about how to clear cache on Kodi. We wrote this guide with Kodi 18 Leia users in mind. However, the same method applies to previous Kodi iterations as well. With this said, we’ll focus on 3 main methods to clear cache on Kodi in 2019, so take a quick look at the jump links found below. 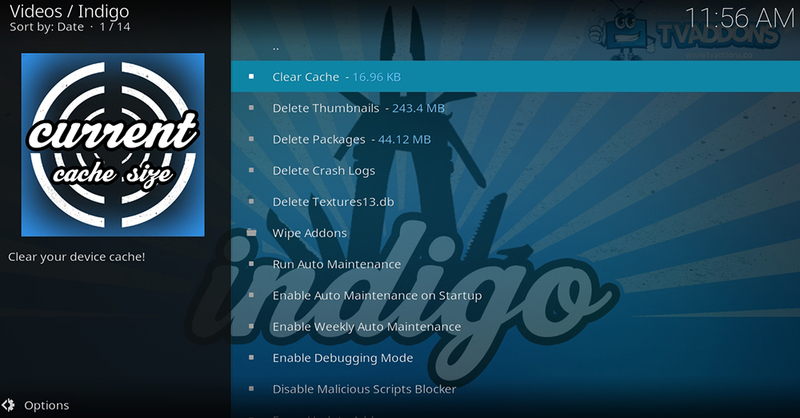 Here’s how to clear cache on Kodi using Indigo addon. This is the most popular maintenance addon for Kodi, and we strongly recommend using it to resolve numerous Kodi-related problems. Clear Cache – as its name says, this is where you can delete cache on your Kodi. Simply click on this option and you’ll be asked to confirm your decision. Delete Textures13.db – As you can see, you can delete one of Kodi’s databases that stores artwork. You can use this option if you can’t get artwork to show properly. Run Auto Maintenance – To make sure your Kodi is running at its best, use this option. This is a very helpful script that takes a couple of seconds to complete. Considering that the Exodus Kodi addon is one of the most popular addons right now, you can remove junk files to improve its performance. Here’s how to clear cache on Kodi by using Exodus. Finally, you can choose to clear cache, clear providers, and to clear search history. Our best advice is to go through all three of these options. That’s it. Feel free to relaunch Kodi. Let’s also not forget about the Covenant Kodi addon. 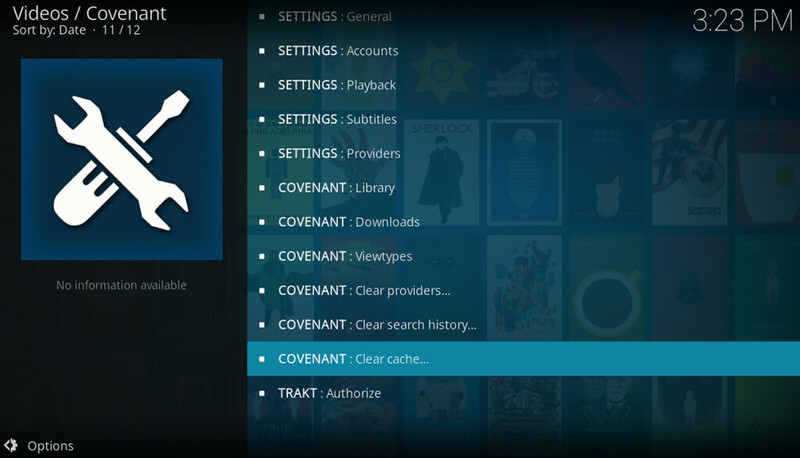 Here’s how to clear cache on Kodi by using Covenant. Finally, make sure to clear cache but also clear the cache of providers and your search history. 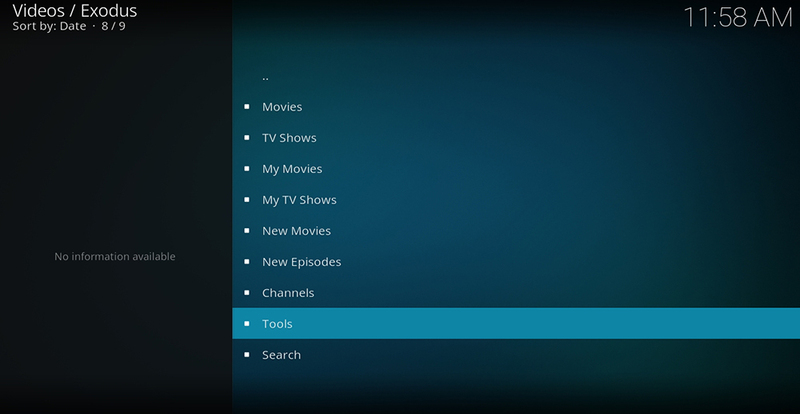 This is where we conclude our guide on how to clear cache on Kodi. In case there’s anything you’d like to add, don’t hesitate to let us know. You can use the comments section below to talk to us. 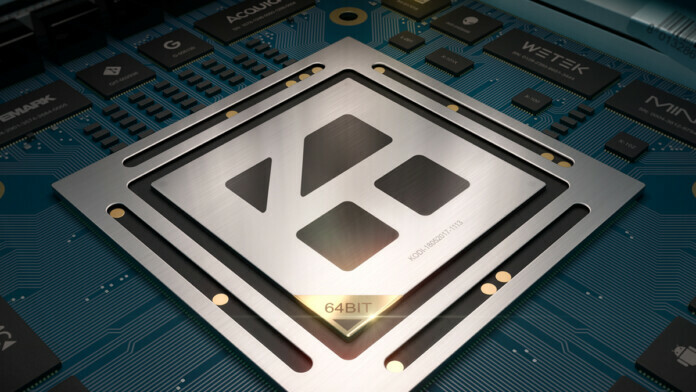 Also, make sure to check our Kodi troubleshooting guide where you can find fixes for other common performance issues. If you think this article might be helpful to other Kodi users, why not share it across social networks. And speaking of social networks, make sure to follow TechNadu on Facebook and Twitter. Thanks!